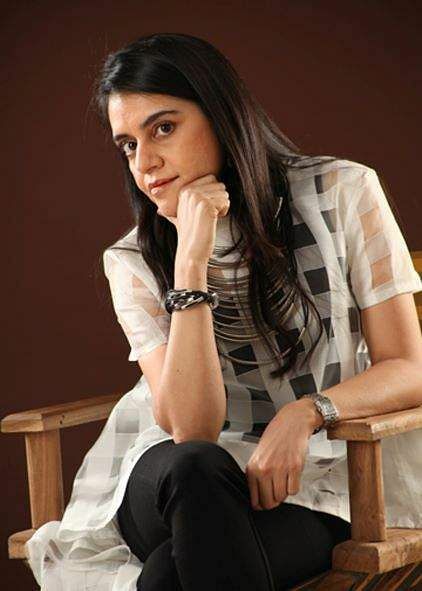 Renowned costume jewellery designer Radhika Jain has come up with an exquisite collection, Intermiix, to be showcased at the Lakme Fashion Week Spring Summer (LFW SS) 2019 from January 30 to February 4. There will be about 30 pieces each of necklaces, earrings, bracelets, maangtikas, cocktail rings and hand and neck harnesses. She tells us that these offerings are for the independent yet deeply feminine women. All the pieces have a base of copper and brass with silver and gold plating. This time around, the 40-year-old jeweller has not used any embellishment or stones to accentuate the stark metal look. “Intermiix is all about beauty in diversity. There is no uniform definition of beauty, which comes in all shapes, sizes and colours. 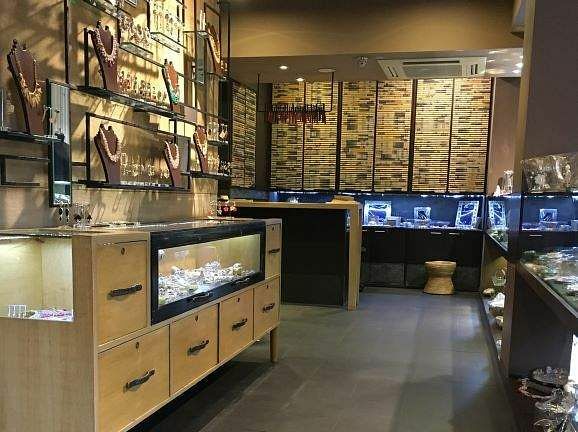 And that’s exactly what I have tried to bring out in my collection,” explains the soft spoken owner of the plush 900 sq ft jewellery store, Mira located on Sarat Bose Road. In sync with the theme, the accessories showcase an interplay of asymmetric designs with uneven textures and undefined shape. “The rough and uneven texture represents the highs and lows of life and mix of human emotions,” adds the designer, whose collection Adi Shakti — on women empowerment — was feted at the LFW last year. The designs in metal are contemporary in style and complement both western and traditional outfits. 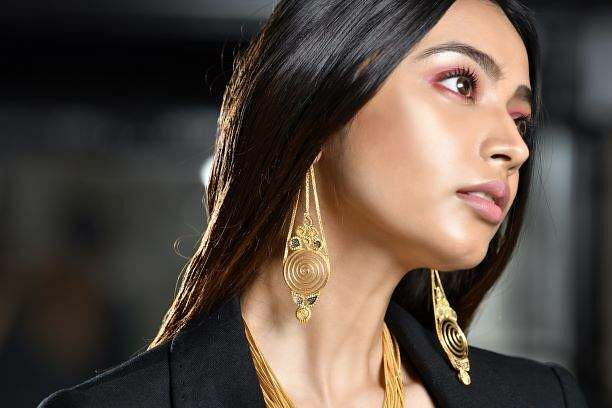 Look out for the interesting spiral designs with copper wires that have been used in the neck pieces and bracelets that, according to Radhika, symbolises the circle of life. An elaborate metal neck harness with minute detailing in meshed copper wire impressed us. Our attention was also held by a ritzy hand harness in spiral bronze metal that will easily make you stand out in a wedding party. Radhika, who once aspired to be a doctor, is best known for her Jardin d’Eden collection, where she replicates fine ivory designs on white fibre, that looks very similar to ivory, on metal jewelleries. “With use of ivory being illegal now, the craftsmen, who specialised in carving ivory, are dwindling in numbers. I work with 25 such carvers, who replicate the classic ivory designs on white fibre,” tells Radhika, showing us an ornate neck piece replete with fibre parrots besides golden and silver leaves encrusted in copper base. 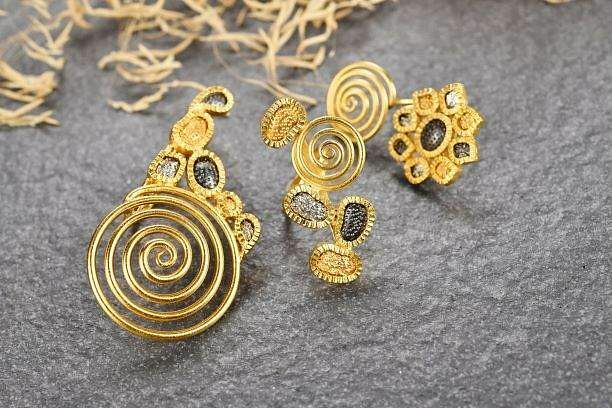 The designer, who has been worn by several Bollywood actors including Vidya Balan, Tapsee Pannu, Urvashi Rautela and Divyanka Tripathi among others, also has a wide range of destination wedding jewellery in kundan, American Diamond and semi precious stones such as rose quartz, carnelian, lapis, aventurine, turquoise, onyx and amethyst. “I also use doublet crystals and all of them are gold or silver plated,” adds the designer.